Personal loan online can be used for many purposes and situations in our life. You can avail a personal loan for your vacation, buying your dream phone, to repair your car or buy any other large assets. It can cover you during unplanned emergencies like medical bills, home renovation or due EMIs. Where the traditional bank loans take ages to approve a small personal loan, the cash loan app will instantly solve your cash problems. You can get an instant loan with online apps like CASHe. The process includes minimal documentation and fast approval method. To apply for a personal loan you don’t have to visit anywhere, you can avail it sitting at anywhere in the world with an internet connectivity. The loan application process is easy and it just takes 15 to 20 minutes to complete the procedure. 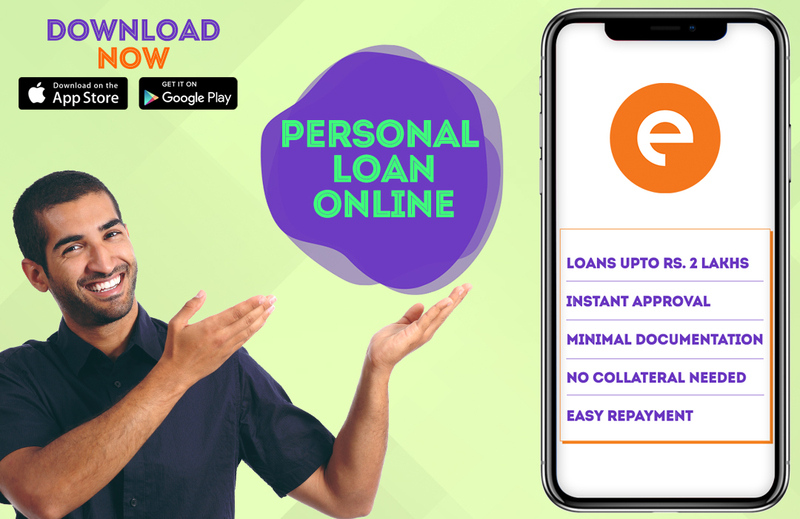 You can download the personal loan app from Google Play Store or Apple App Store on your smartphone and register yourself. The app will then ask you to enter your loan amount. You can opt for a loan of ₹ 10,000 to 1 or 2 lakhs. You are required to submit a few documents. Your identity proof, your address proof, your bank statement, latest salary slips, and your current photographs. You can upload all the documents of personal loan online from your smartphone. Once the application is completed you can see your request status on the app. Your pan card, Aadhar card, passport, driver’s license, utility bills like electricity, phone, maintenance bills will be valid for submission. You have to submit the bank statement with your salary credited. Your latest salary slips from your employer will also be required. Once your request is approved by the loan app, the money is disbursed in your personal savings account within a few minutes. You can get a personal loan on the same day of application. The duration of personal loan online depends on you. You can avail the loan for 15, 30, 60, 90, 180 OR 360 days. The interest rate of the personal loan online depends on your tenure. The interest for 15 days will be around 1.5%, for 30 days 3.0%, for 90 days 2.5% per month and so on. You need to be a resident of India to avail a loan. A working bank account is required too. If you are a salaried individual, your age should be between 23 years to 58 years old. Your employer should have a registered company. If you are self-employed your age should be between 28 years and 68 years old and your business must be in existence for a minimum period of 3 years. Once the due date arrives, you can pay the amount via bank transfer or you can deposit a cheque. The loan app will send you the alerts for the repayment so that you don’t miss the due date.